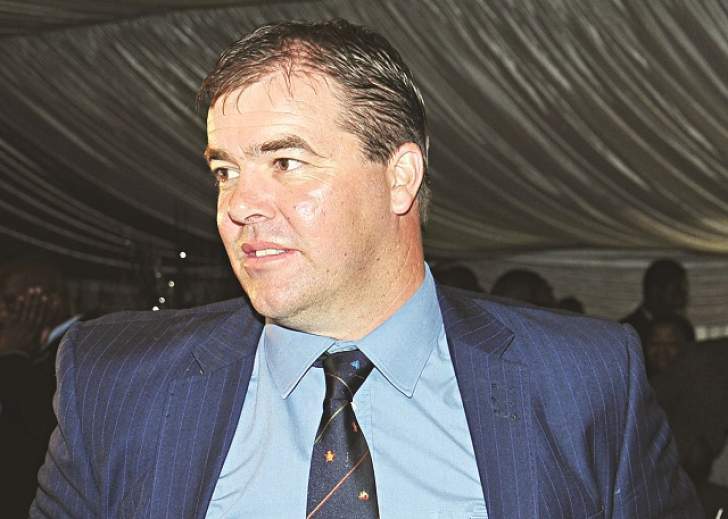 Heath Streak's wife, Nadine has jumped to the defence of her husband after Zimbabwe Cricket (ZC) board chairperson Tavengwa Mukuhlani accused the (former) national team coach of being racist. Streak together with his entire technical team were relieved of their duties following Zimbabwe's failure to qualify for the 2019 ICC Cricket World Cup to be held in England and Wales. In a bid to justify Streak's dismissal, Mukuhlani alleged that the former Zimbabwe captain was selecting the team on racial lines. "Streak was a coach and selector, he was entitled to change the team as he found it fit but the question is why did he change the team in the manner he did?," Mukuhlani told the Daily News. "The white players knew PJ (Moor) was going to play and none of the blacks knew about it. Cephas (Zhuwao) was told during warm up and why didn't he inform the whole team? The board is saying what was the motive?" However, Nadine, who has been using social media in recent weeks to back her man, finally opened up to the Daily News in an exclusive interview yesterday. What has infuriated Nadine is the fact that her husband is being branded a racist but at the same time the family has an adopted black son; Kevin. "This racial card has been a difficult one for me to remain silent on though as we are a multiracial family," she said. "One gentleman asked how I could use my one son on social media as a weapon. That was not my intention. "What message am I giving to my children if I do not speak out against something we believe so strongly against? "As we try to co-create a world more inheritable to our children we have taught them that we all bleed the same red blood and that's the only colour in life of importance. "I have worked hard to protect my kids from having their lives in the press. "We have been blessed with three biological children and one foster son — two girls and two boys, all our greatest joy. "Both of my sons love their sport. Kevin (our foster son) is more passionate about rugby and our youngest, Harry, is a talented sportsperson across the board," she said. "I always tease my husband that the boys get their cricketing abilities from me. I used to have two buckets of balls in the garden and would bowl to them for hours on end. Heath would play rugby, soccer, tennis, golf etc with them but never picked up a cricket bat. "One day I challenged him on this and asked why he would play all sports in the garden with them except cricket. "He said very simply ‘I never want them to feel cricket was forced on them'. They proved their own natural passion for the game. My girls are not that wild about cricket, I can't blame them when they have spent 80 percent of their childhood on the side of a field." Despite the current storm surrounding the Streaks at the moment, Nadine is grateful that they have been able to stick together in the turbulent times. "I don't believe our ‘social standing' as you word it has been affected. It is not our place to judge and if others choose to hold judgment against us then so be it. "We have been overwhelmed by the nation's support and are surrounded by friends and family who have been nothing short of incredible at a time when everyone is discussing Heath," she said. "It has been difficult trying to explain all of this to my four children to be really honest as they too have been bombarded with questions they are perhaps not equipped to answer at their age. "But we stand tall as a proud Zimbabwean family who are not fighting for the reinstatement of Heath, or Tatenda (Taibu), Dougie Hondo or Graeme Cremer. "This goes so much deeper. It's about safeguarding the future of the game we are all so passionate about for generations to come. "So an apology by the chairperson at this point is of no relevance really. "Moving forward we would ask what are they going to do as a board to rectify all that is wrong with Zimbabwe Cricket across the different age groups and development. "Especially given the fact they have fired five out of only eight coaches nationwide with credible qualifications." Nadine's WhatsApp status reads: "On broken knees we find strength." "My husband is a good man so yes, that status was a direct reflection of how we are feeling right now," she said. "I have been together with Heath for 24 years now and have always gone through great lengths to quietly support my husband without reacting to every word that is said or written about him. "At times our lives feel like we are in a fishbowl so to speak. ‘We have tried hard not to rise to the bait or include ourselves in mudslinging over the last two-and-a-half decades." Meanwhile, Streak has described as "preposterous and laughable" the racism allegations levelled against him by the ZC board chairperson. "I've been accused by the chairperson of ZC of being a racist, I find this preposterous and laughable and even to respond to them for people who know me, is lowering my standards but I just want to make a few things notable," said Streak, who is currently in India for the IPL said in a video posted online. "Our selection panel consisted myself,...Taibu and...Hondo. They are always consulted, and we always reached consensus on our teams. "(Graeme) Cremer was not a selector, but he gave advice, and we also spoke to other guys outside, including the franchise coaches at times, to give us some of their thoughts. "The allegations that during the World Cup Qualifier, I dropped black players for white players is also ludicrous. "When I dropped people like Kyle Jarvis for Tendai Chisoro nothing was said, but when I dropped...Zhuwao for PJ Moor, then I'm a racist. "Those who are around me and who know me and are most important to me as in the players can vouch for that (I'm not a racist). "Why do all these people that the chairperson claims are accusing me of racism, why do they not come out in public and say that themselves? Let's see that. "This is not about (Heath) Streak and (Tatenda) Taibu being fired, this is a bigger thing. "If you look at the collective time all the coaches who were fired have put into playing for Zimbabwe and the time we've spent coaching, it amounts to decades." Streak said the way he and the other members of his technical staff were fired was not ethical. "I think the way we've been treated, the way we were fired, it just isn't right, and it's not ethical that you can treat people like that. "I'm just really sad that five of eight Level 3 coaches have been fired...," Streak said. "We have people like physiotherapists and trainers who have nothing to do with how the team performs. "They are not technical staff, they are there to get people fit and on the park, and they can't be fired. "I think that's ludicrous and just wrong. These are things the ICC, as a Full Member country require us to complete as part of our membership and as part of getting our disbursements from ICC. "So by not doing this we risk some of these things, and I think the ZC needs to have a long hard look at themselves."